I am so excited to have Michael Wood stopping by the book review cafe today, I’ve read For Reasons Unknown and I have to say it’s in my top 3 reads for 2015 , if you haven’t read it yet I suggest you pop over to Amazon and get yourself a copy, well after you’ve read this interview of course! So without further ado……. For those readers who haven’t yet heard of you or your book, can you provide us with an introduction? I am Michael Wood. 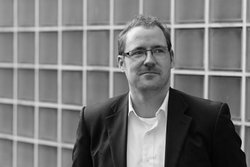 I am a former journalist and currently work as a freelance proofreader living in Sheffield. For Reasons Unknown is my first novel and is set in my home town of Sheffield. It is about a cold case from twenty years previous, a double murder around Christmas which left two children orphans. My main character, DCI Matilda Darke is tasked with solving the cold case on her return to work after an enforced nine month sabbatical from South Yorkshire Police. Where did the idea For Reasons Unknown Come from? To be honest, I can’t actually remember. By the time I was published I had been writing For Reasons Unknown for a long time. I’ve always been fascinated by cold cases, especially when you read in the news about a case finally being solved many decades after the crime originally took place. The internet is a great help. However, if there is any specialised knowledge I require I will contact people and ask if they’ll answer my questions. I have many contacts from my time working as a journalist and know a few police officers too who have helped with details. This is your debut novel, how does that feel? Amazing. I’ve wanted this for so long, it really is a dream come true. The first time I saw the front cover and my name in print I was over the moon. I don’t think I stopped smiling for a week. I’m not sure about strange but my most productive time to write is in the small hours of the morning. I like the peace and quiet and knowing the city is asleep while I’m writing away. Yes. I write a basic plot of my novel and hand write a few chapters in advance before typing them all up. I like to have well detailed notes before I chain myself to the laptop. A very long time. An incredibly long time. So so long. Waiting for the reviews. You hope they’re going to be good (so far mine have been), but I’m always worried someone is going to detest my novel so much they’re really lay into it. I hope that never happens. Psychological, dark, fast-paced, mysterious, deep. Thoughtful, quiet, busy, strange, tired. I like to read crime fiction (it’s good to know other books in the same genre I write). I love British writers and I think some of the Nordic authors are incredibly talented. The landscape and plots are wonderfully written. Night Blind by Ragnar Jonasson. And one last question are you able to tell me anything about your next book, will we get to meet up with Matilda Darke again? Yes. For Reasons Unknown is the first in a series of novels to feature Matilda Darke. The second novel takes place a few months after the events of the first and I can’t really give anything else away, I’m sorry. Then a dead body is discovered, and the investigation leads back to Matilda’s case. Suddenly the past and present converge, and it seems a killer may have come back for more…..
For Reasons Unknown is the dark compelling debut from Michael Wood, I knew I had to bump this one up my to be read pile after reading such glowing reviews on social media. So with some trepidation I decided to go for it, would I find this book over hyped? would I be left feeling deflated after reading such promising reviews? All these questions ran through my head as I began the first chapter. I’m an avid reader of the Crime Thriller Genre and every now and then I come across one that gets me really excited and For Reasons Unknown did just that! It’s hard to believe this is Michael Wood’s debut, the story is well constructed and flows easily, so from the first page I was hooked! The characterisation is spot on Maltilda is the far from perfect heroine, she has panic attacks, she drinks to much whilst trying to block out mistakes she made in an unsolved case of a missing child, but yet she is credible and likeable,foibles and all. The volatile relationship between Maltida and Ben Hales Acting DCI is also an interesting one,as resentment builds between the pair, the reader can almost feel the tension between them, which adds credibility to the whole story. Jonathan is also very well depicted, and at times I felt his heartache and confusion. In fact all the characters are well constructed and likeable but at the same time believable. 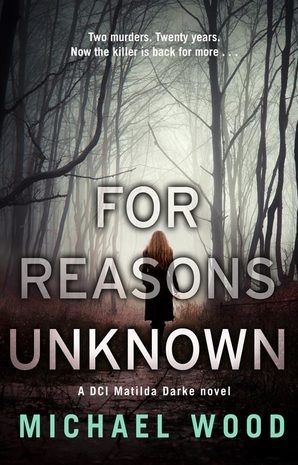 For Reasons Unknown has to be the best crime book I’ve read this year the pace is relentless with so many twists and turns along the way I found myself holding my breath at times! I could add many more cliches and they would all be true including I couldn’t turn the pages fast enough. The whole book was fantastic and I was left speechless after finishing it, in fact I could have done with a lie down as the story reached its climax my heart was racing, It really was that good. Michael Wood has wrote a well crafted book that will keep readers enthralled to the very last page. I’m sure Michael will become a big name in the crime book genre, and I for one will be buying his next book without hesitation. This entry was posted in Michael Wood and tagged Author Interviews, Crime Thriller, Mystery on December 14, 2015 by lollyrugs.